Over 250 councils subscribe to .id’s web-based information tools. This network of interactive websites is made available as a public resource to facilitate evidence-based planning decisions for the community. Each year, .id’s information assets are accessed over 2.5 million times. Use demographic data to create a story about how your community is changing and how it compares to other areas. 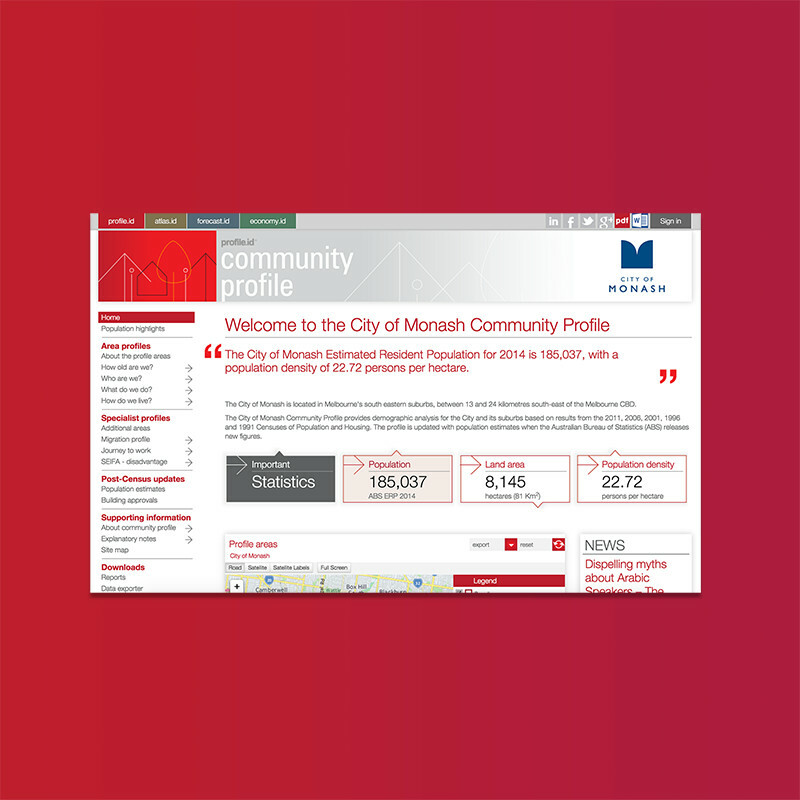 profile.id is designed to assist councils apply for funding, allocate resources, manage assets, make confident decisions and provide useful information to the community. Visualise how target populations are distributed across a local government area using thematic maps. Social atlas helps you identify groups of people (children, elderly, disadvantaged) who may be hidden by more general statistics, so you can allocate resources where they are needed most. Understand what's driving population change in your community and see how the population, age structure and households will change between now and 2041. 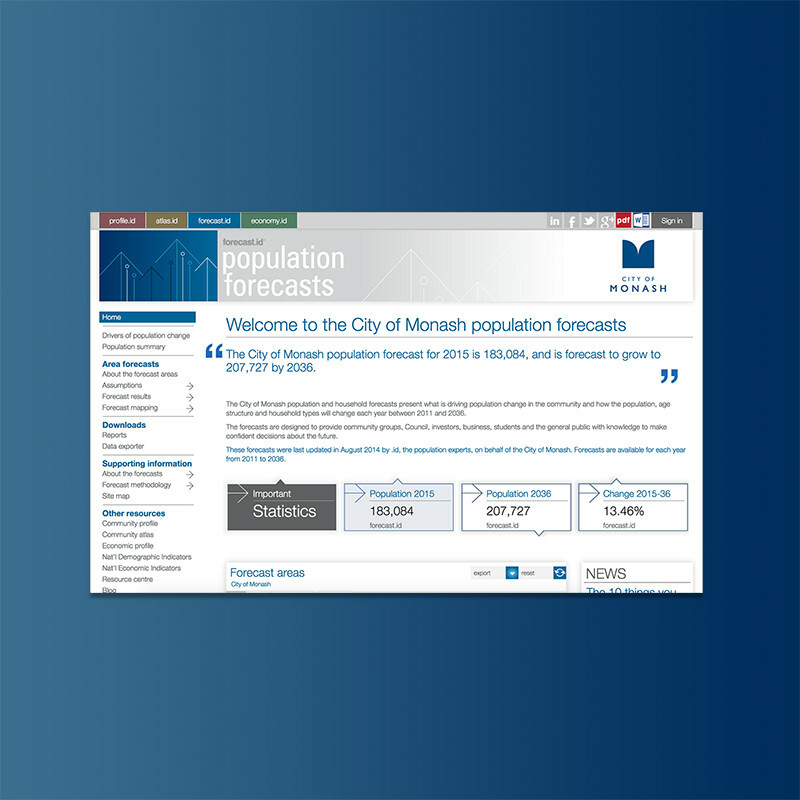 .id's reliable population forecasts help you know where and when to allocate resources, so you can invest with confidence as the population changes. 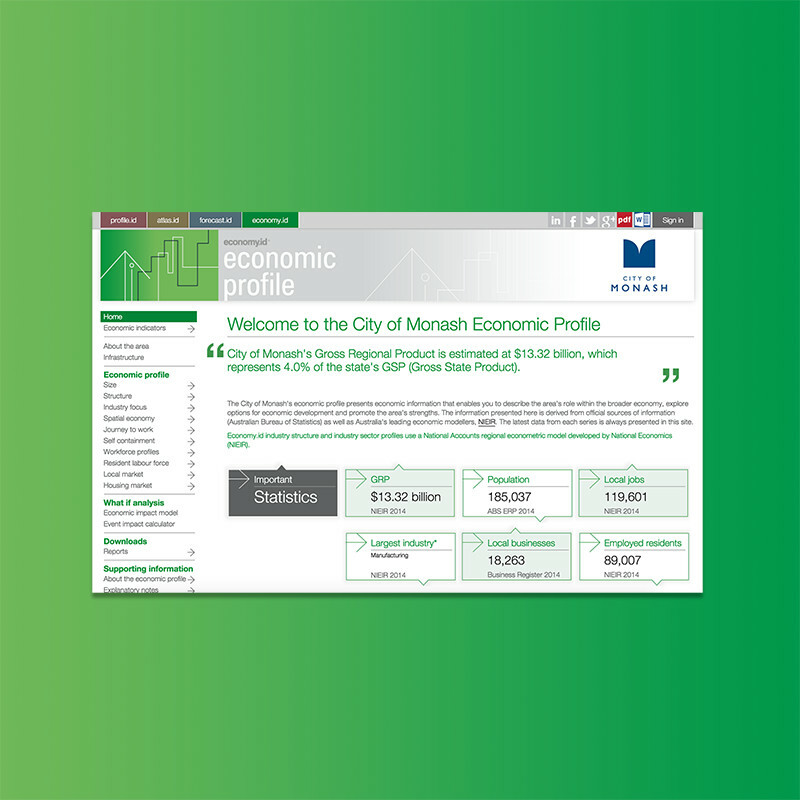 Tell the story of your local economy, how it is changing and how it compares to other areas. Quantify, describe and promote your local economy and the role it performs in employment and wealth creation. Develop economic development strategies, attract investment, verify observations with data and quantify the effect of adding or losing jobs. A rigorous framework from which to develop responsible housing policies. 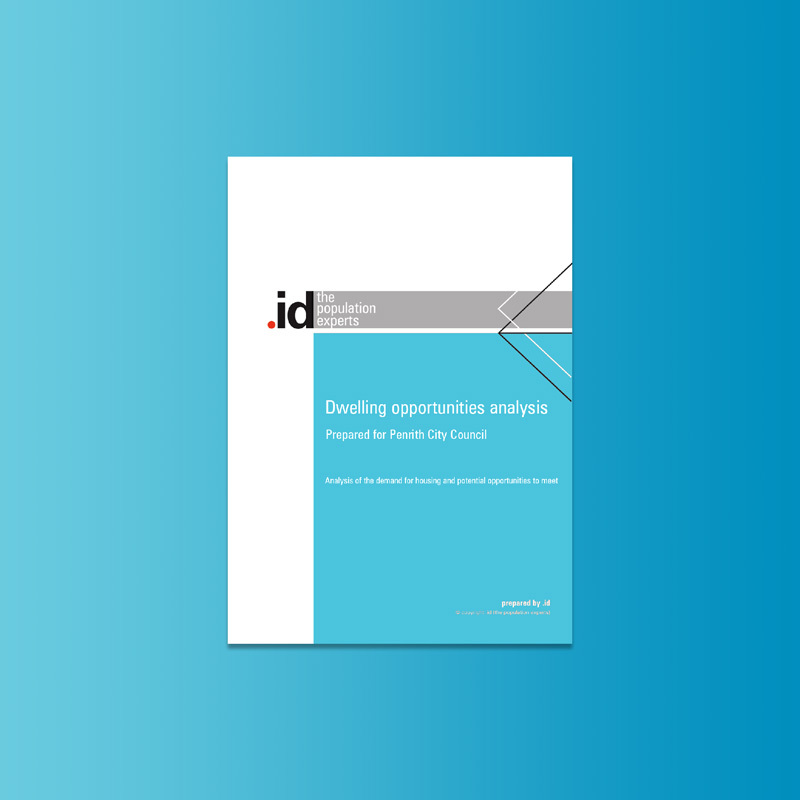 Based on careful analysis of housing consumption patterns, capacity and affordability, housing.id can help you sustain your population base, protect key residential areas from inappropriate development and respond to the need for housing development. 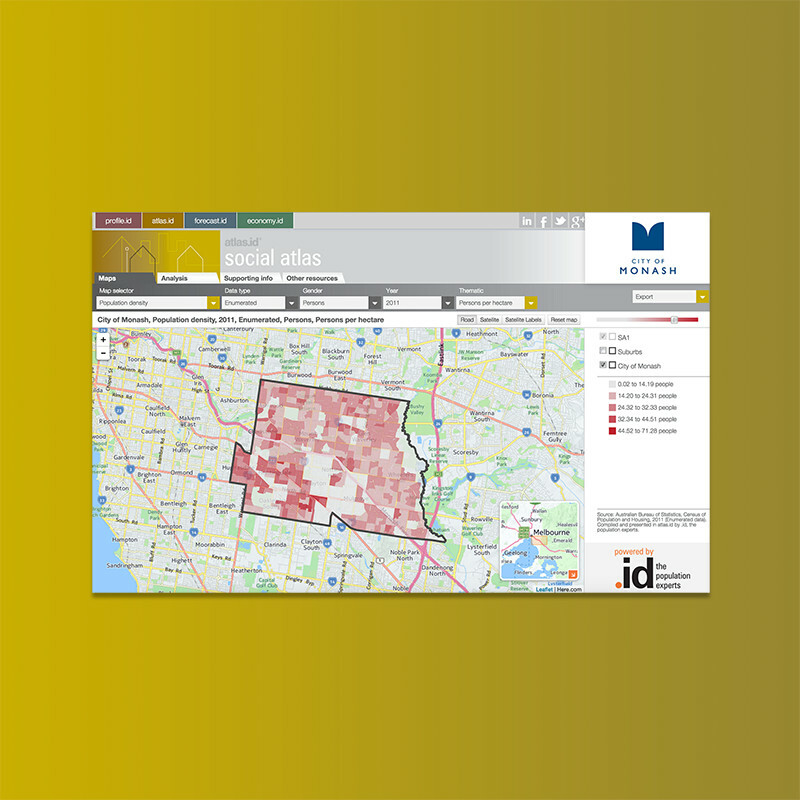 .id provides easy-to-use and cost-effective tools for presenting and sharing demographic information. Our council and the community have benefited enormously from .id tools when developing strategic plans, community programs, grant submissions and public information. The tools also allow community members to understand the demographic changes and dynamics occurring within the city. 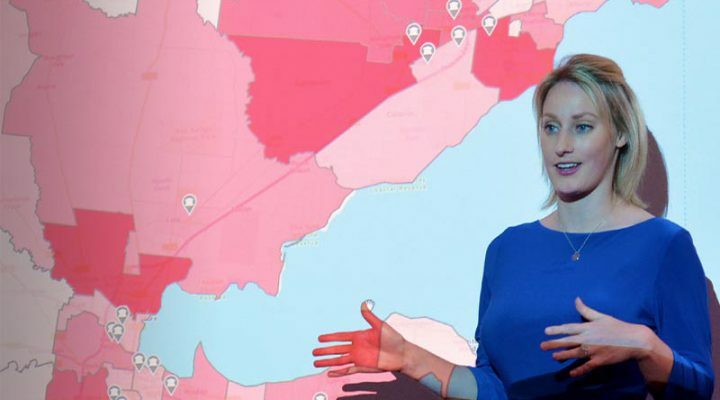 Bankstown City Council would recommend using Profile, Atlas and Forecast to other councils, as the tools are used and appreciated by individuals, community groups, businesses and other levels of government. Can we help your council build a better community using evidence? 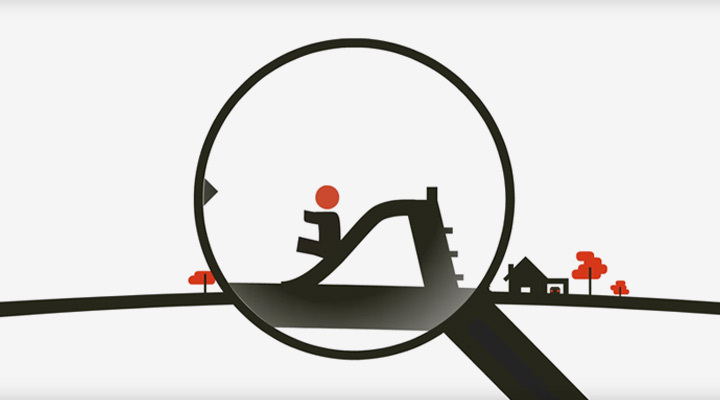 Watch our video to learn how we help community planners using the right evidence base. Briefings, workshops and presentations to understand how demographic trends affect your community. 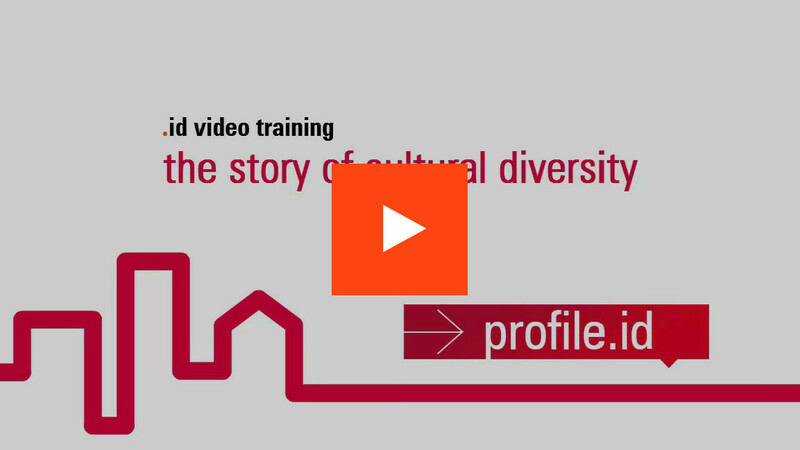 Get the most out of .id’s community information tools with free online training.